Blackman, Allen, Francisco Alpízar, Fredrik Carlsson and Marisol Rivera Planter. 2015. 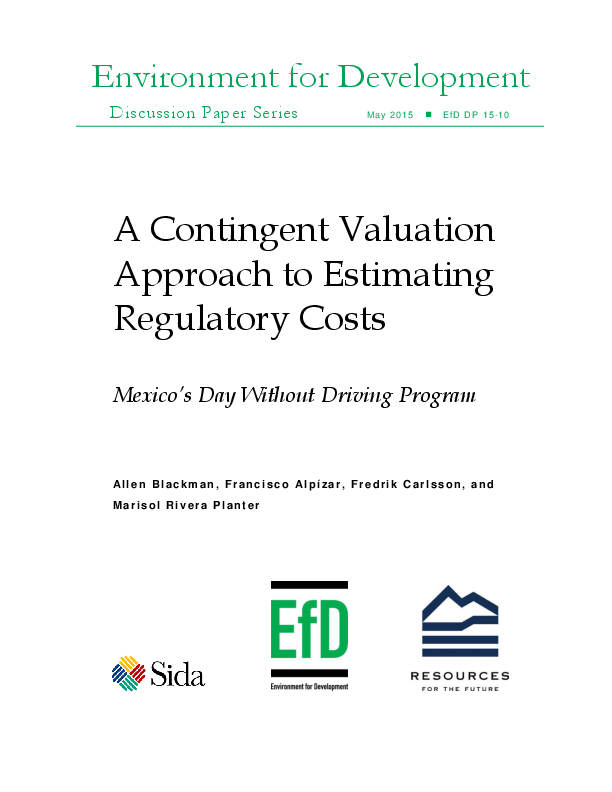 “A Contingent Valuation Approach to Estimating Regulatory Costs Mexico’s Day Without Driving Program.” RFF Discussion Paper Series RFF DP 15-21. Little is known about the cost of environmental regulations such as residential zoning restrictions and recycling mandates that target households instead of firms, partly because of significant methodological and data challenges. 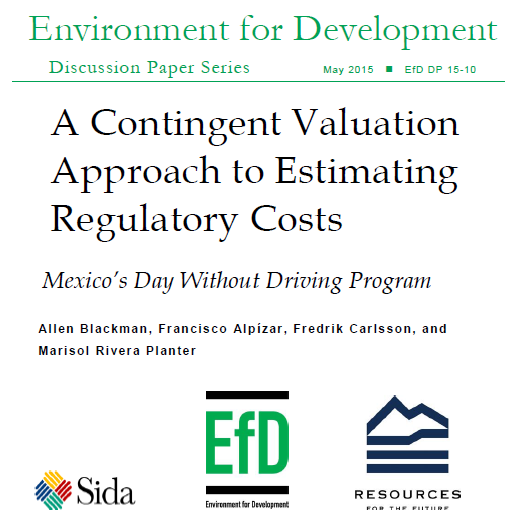 We use a survey-based approach, the contingent valuation method, to measure the costs of Mexico City’s Day Without Driving program, which seeks to stem pollution and traffic congestion by prohibiting vehicles from being driven one day each week. To our knowledge, ours is the first study of an actual regulation to use this approach. We find that the Mexican program’s costs are substantial: up to US $103 per vehicle per year, about 1 percent of drivers’ annual income. Recent research has questioned whether programs for driving restrictions in Mexico City and several other megacities actually have environmental benefits. Our results suggest that whatever benefits these programs may have, they can be quite costly.